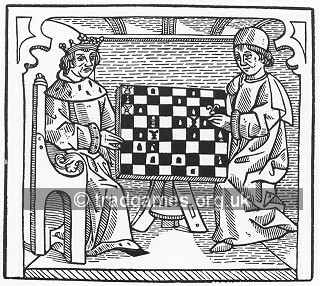 A great deal has been written about the origins of the modern Chess variants and there is still a lot of debate on the subject. 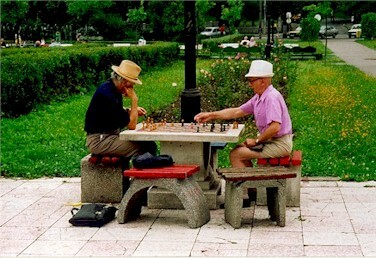 The theory most espoused and believed is that Chess is an Indian games, the first references of which turned up in the 6th century. 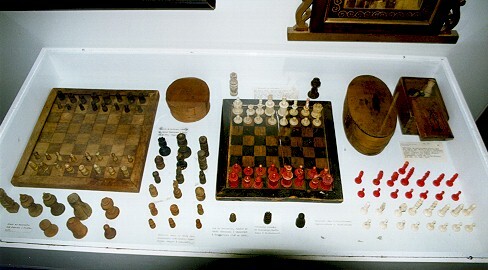 Most sources for this information are derived in some part from the monumental book by HJR Murray - The History of Chess published in 1917. While this is a great work, it has its flaws and, of course, much new evidence has surfaced since. 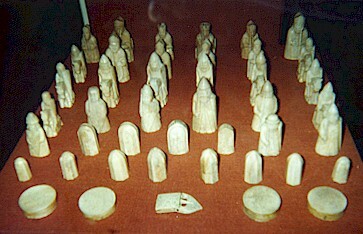 There are other theories for the origin of Chess. 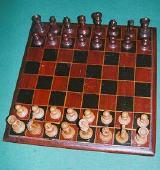 Some people say that the earliest ancestor known was Shaturanga, which is a 4 player version of Chess. The bulk of opinion, though would have it that this didn't turn up until around 1000AD. 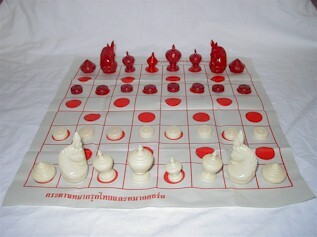 The other primary theory is that Chess came from China. 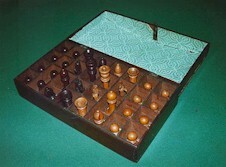 A long and forceful treatise to this effect called The Origin of Chess has been written by Sam Sloan. Naturally enough, this theory is not short of its critics and other people have equally vocal opposite points of view. 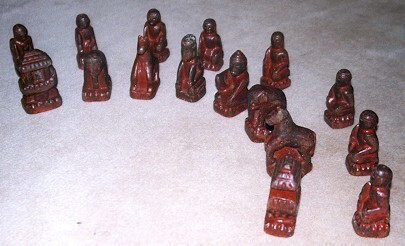 Those who believe that this is the earliest clear ancestor of Chess say that under Hindu law, gambling became forbidden early on in the Hindu civilisation and, to avoid the gambling laws, Shaturanga players dispensed with the dice. 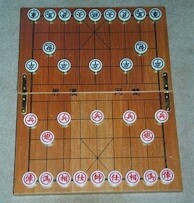 Other changes happened at the same time - the merging of the allied armies into a single army making the game a two player form and duplicating the pieces, both developments which have survived until today. 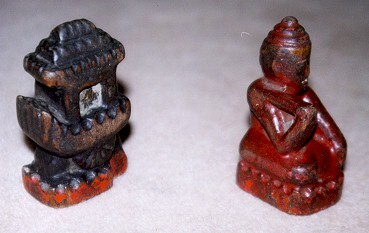 The other main changes between Chaturanga and the 2 player form of Chess, Shatranj, are the two Rajahs were demoted to Prime Ministers in the change to the two player form and their movement reduced making them much weaker while the moves of the Elephant and the Ship were swapped around. 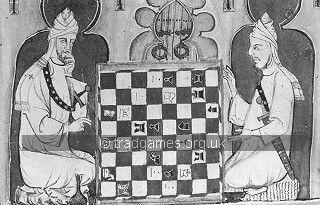 Over the next four centuries, the game stayed in much the same form as above - the European form of medieval Chess described in Caxton's 'The Game and Playe of Chesse' wasn't much different to the Persian form that the Crusaders probably discovered. 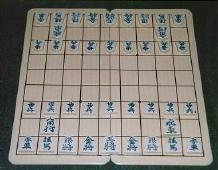 As time progressed a variety of exotic variations came about in forms such as Circular Chess and The Courier Game which was a kind of extended Chess played on a board of 12 x 8 chequered squares. At about the same time that Shatranj entered Europe, it was also heading Eastwards back through North India and into Burma, China and Japan. 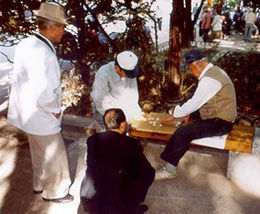 The games Sittuyin (Burmese Chess), Mak-ruk (Siamese Chess), Shiang K'i (Chinese Chess), Korean Chess and Sho-gi (Japanese Chess or The General's Game) are the resultant modern forms; Chinese and Japanese Chess join Modern European Chess as being the primary modern day forms of Shatranj. 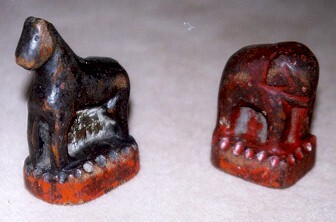 but these were easily beaten. 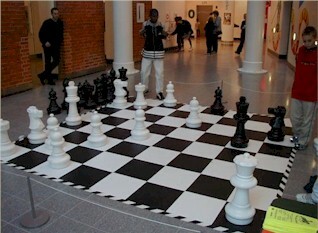 Since then Chess programs have become increasingly better at the game and can now beat all but the best Grand Masters. In 1997, history was made when Deep Blue 2, a machine running the best Chess program yet written, managed to beat Kasparov, the undisputed best player in the world at the time.